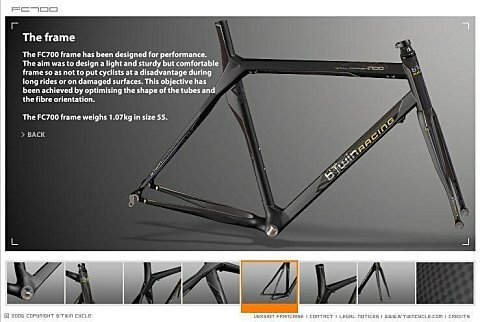 AG2R Pro tour team will use in 2006 frames made by Decathlon a french sport shops chain. Its engineering sector of devellopement is now well proven, the frame can’t be bad. Made out of T700 high modulus carbon fibers, it used as well Kevlar to absorb vibrations. Last but not least, its shape is weird but looks nice.